To report a loose canine, please contact Burlington Police Department's Neighborhood Services at 719-346-8353 during the hours of 7:30 a.m. to 4 p.m., Monday through Friday. For after-hours and weekend reports, please leave a message at the Burlington Police Department and an officer will respond as soon as they are able. Looking for man’s best friend? Adopt a dog! 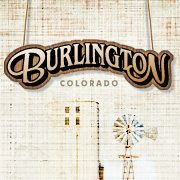 Contact the Burlington Police Department at 719-346-8353. The City Council has decided to utilize a spay / neuter program to decrease the feral cat population over time. This is the most effective plan, saving taxpayer's money, and effectively reducing cat numbers. The City Council has appointed a committee to head up this project; they will be trapping and fixing feral cats as well as offering clinics for those in the Burlington city limits at extremely low costs. You can also find a list of ways to deter cats from your property by contacting Heather at 719-346-0221 or Liz at 719-349-0404. You can find out trapping locations by listening to KNAB (104.1) or calling City Hall at 719-346-8652. Clinic dates will be posted as they become available.